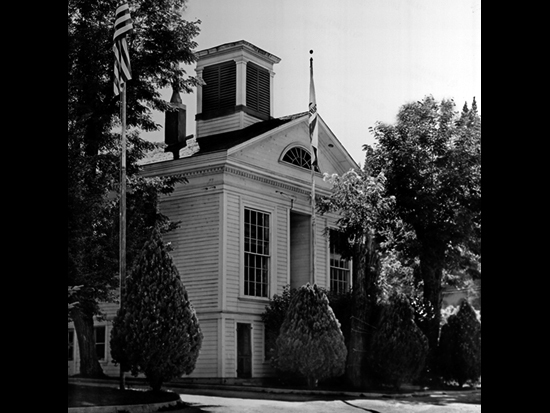 On November 26, 1885, local carpenters erected wooden gallows in a yard adjacent to this courthouse for the execution of a 19-year-old Irish immigrant convicted of murder. The next day, the gallows was dismantled and stored in the attic of the courthouse until 1927, when startled county employees discovered it. Despite complaints that it was "not conducive to happy thoughts," the gallows was reerected adjacent to the courthouse and survived the 1947 fire that destroyed the building. Restored in 1988, the gallows is recognized as a California Historic Landmark and is listed on the National Register of Historic Places.